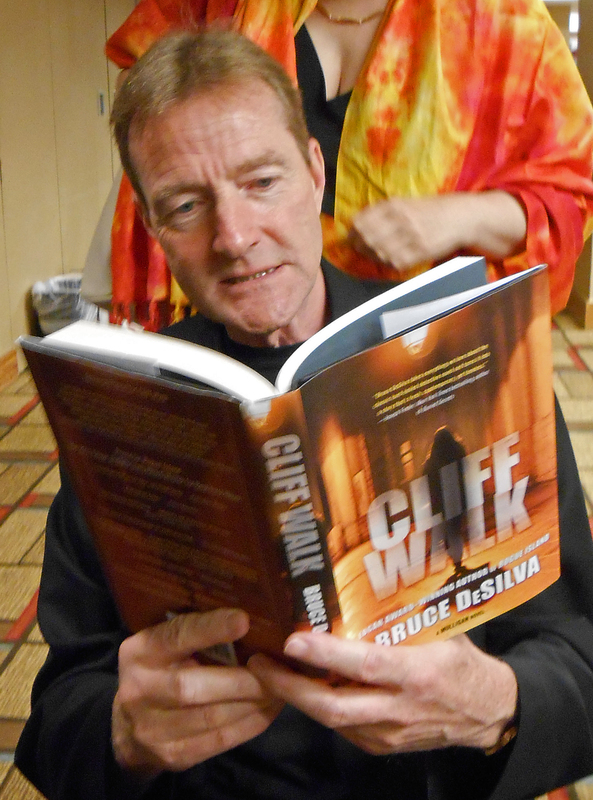 The last time I saw Bruce DeSilva was at the Poisoned Pen book store in 2010. So, I welcomed the chance to catch up with him. 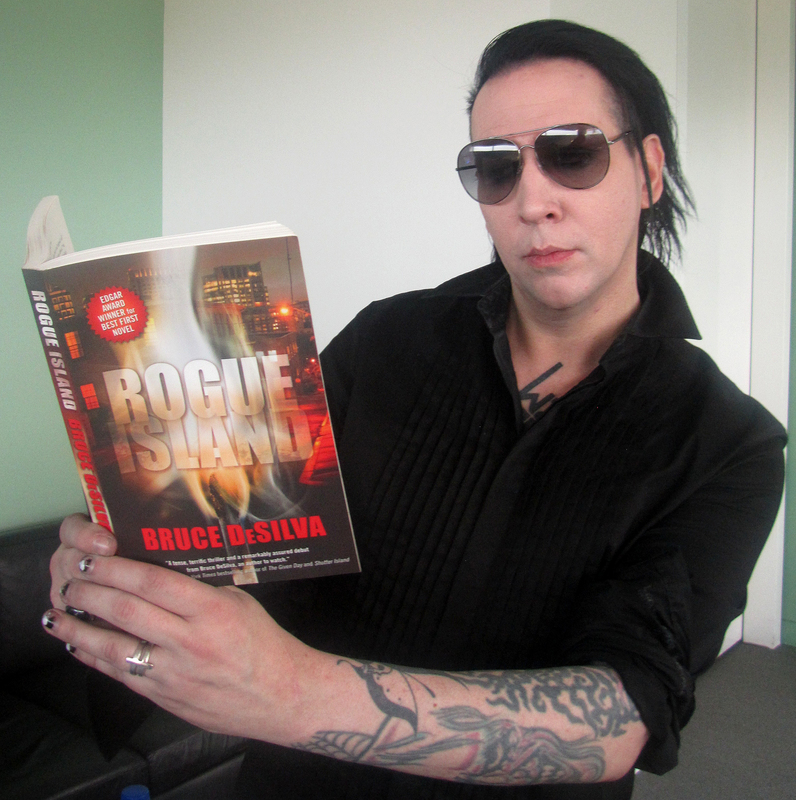 His new book, A Scourge of Vipers, is released today. It’s the perfect time for a guest post. Thank you, Bruce. I know Liam Mulligan isn’t real, but sometimes I can’t help but worry about him. After four books, he and I have been through a great deal together. working class neighborhood where he grew up, the woman he loved cruelly betrayed him, a friend he cared deeply about was killed, and the only way he could find justice was to become complicit in three mob murders. long-held convictions about sexual morality and religion. In the closing scene, perhaps my favorite piece of writing in any of the Mulligan novels, he’d become painfully lonely—a man whose best friend and only confidante was the headstone marking the grave of his dearest friend. ally, leading him to doubt that he was on the right side of the issue. His actions caused economic harm to the newspaper he worked for and put several people he cared about in mortal danger. I tried to soften the blows by throwing him into the arms of a stunningly beautiful lawyer, but sadly his affections were not reciprocated. So in the new novel, A Scourge of Vipers, I finally cut my imaginary friend a little slack. The first three novels were littered with innocent victims, but this time, Mulligan finds solace in the fact that nearly everyone who gets killed had it coming. And that beautiful lawyer tiptoes back into his life, not yet ready to commit to him but raising the possibility that they might have a future together. But there is one thing I could not help my friend Mulligan with. I could not do anything to fix his job. In the first chapter of the new book, Mulligan gets together with Domenic “Whoosh” Zerilli, his longtime bookie, at their downtown Providence hangout, a bucket-of-blood bar ironically named Hopes. Zerilli wants to talk about the future. “I was a newspaper reporter,” Mulligan says, “so I didn’t have one,” And that’s about the size of it. Mulligan joined the staff of the mythical Providence Dispatch the summer after he graduated from Providence College, where he’d backed up Dickey Simpkins on a mediocre basketball team. Back then, he had big dreams. He was going to be an investigative reporter—the next Seymour Hersh or Edward R. Murrow. In those days, The Dispatch seemed like the right place to do it. 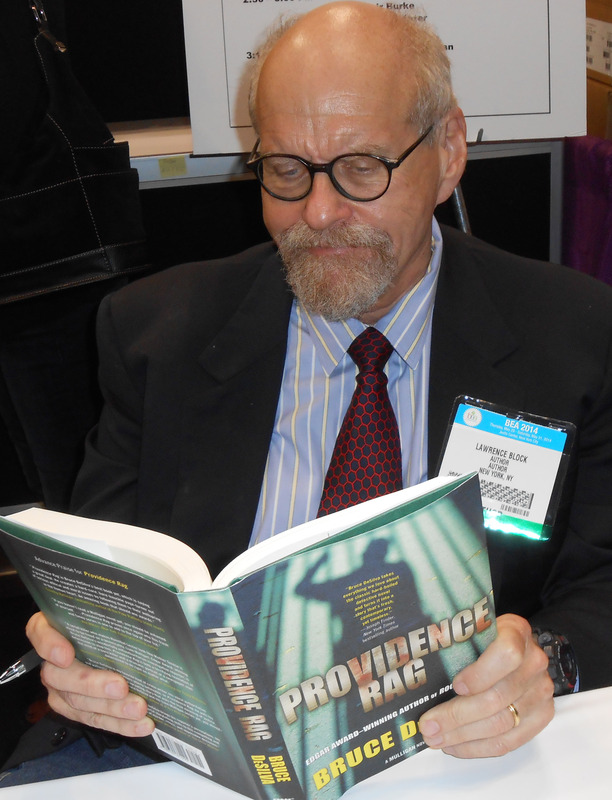 Like The Providence Journal, the real-life newspaper I loosely modeled it after, it was one of the finest small-city newspapers in America with a talented staff of 380 journalists who excelled at beat reporting, explanatory journalism, and blockbuster investigations. By the time we picked up Mulligan’s story in Rogue Island, he was nearly forty years old and had a Pulitzer Prize to his credit; but the economic changes that are destroying print journalism were already taking a toll. With each subsequent novel, budget cuts and layoffs continued to wither the newspaper, forcing Mulligan to pitch in writing obituaries and weather stories while conducting investigations largely on his own time. As A Scourge of Vipers opens, the newspaper has been scooped up by a bottom-feeding conglomerate that slashes the newsroom staff to just forty journalists and has no interest in serious reporting. The action begins when Rhode Island’s colorful fictional governor, a former religious sister nicknamed Attila the Nun, proposes legalizing sports gambling to ease the state’s budget crisis. Organized crime figures, out-of-state casino operators, pro sports leagues, public employee unions, and others who have a lot to lose—or gain—if gambling is made legal flood the little state with millions of dollars to buy the votes of Rhode Island politicians. This in a tiny state where the average campaign for the state legislature costs just ten thousand dollars. Soon, a powerful state senator turns up dead, a mob bagman gets shot down, and his briefcase full of cash goes missing. Mulligan wants to investigate, but his bosses lack the stomach and resources for ambitious public-service reporting. So Mulligan goes rogue, digging into the story on his own. Soon, shadowy forces try to derail him by destroying his career, his reputation, and perhaps his life. I never outline, preferring to discover the story as I go along. But before I was halfway through writing A Scourge of Vipers, it was obvious to me that Mulligan’s newspaper career was headed for a bad end. He was either going to get fired or quit in anger—unless the struggling newspaper died out from under him first. So in addition to unravelling a suspenseful the story of murder and political corruption, I needed to help Mulligan build a new future for himself. I knew it wasn’t going to be easy. Mulligan is forty-four years old now, and newspapering is all he has ever known. He’s always thought he could never be any good at anything else—that if he couldn’t be a newspaper reporter, he’d end up sitting on the floor of the bus station selling pencils out of a paper cup. For his sake, and the for sake of the future Mulligan novels, I needed to prove him wrong. He wasn’t entirely without prospects. His friend Bruce McCracken dangled a job at his private detective firm. But that’s not journalism. His young protégé, Edward Anthony Mason III, son of The Dispatch’s former publisher, offered him a reporting job at The Ocean State Rag, his start-up local news website. But the business wasn’t making any money yet, so the job didn’t pay much. And Zerilli, closing in on eighty years old now, wanted to retire to Florida and hoped Mulligan would be interested in taking over his bookmaking business. In the end, I think readers will find that what Mulligan decides do with the rest of his life is both surprising and ingenious. The main reason I have so much empathy for Mulligan is that he and I are a lot alike. He’s been an investigative reporter all his life. I used to be one. He has trouble with authority. I was never any good at taking orders. He’s prone to ill-timed wisecracks. I get a lot of complaints about the same thing. He has a strong but flexible sense of morality, willing to break rules, or even the law, to expose corruption and bring bad guys to justice; and when he encounters injustice, he’s determined to get to the root of the matter no matter the personal risk. When I was a reporter, I was a lot like that. As the son of a good man who raised a family on a milkman’s paycheck, he has a lot of working-class rage. I’ve got some of that in me, too. And the music of blues musicians such as Buddy Guy and Koko Taylor form the soundtrack of both his life and mine. Mulligan isn’t me, of course. Among other things, he’s twenty-two years younger and a lot taller. Although both of us love basketball, I was never tall enough or good enough to play for a college team. And unlike Mulligan, I don’t own a gun and have never shot anyone. . . . Yet. But the more time I spend telling the story of his life, the fonder I become of him. Howard Frank Mosher, author of Waiting for Teddy Williams and one of my favorite writers, sent me an email proclaiming that Mulligan is “the most human, unpredictable, and anti-authoritarian fictional character I’ve met since Ranger Gus McCrae of Lonesome Dove.” I’d like to think that he’s right. In the next novel, tentatively titled Dreadline, which I’m writing for publication next year, Mulligan moves out of his crummy apartment in a ramshackle Providence triple-decker and sets up housekeeping in a little waterfront cottage on the island of Jamestown in Narragansett Bay. He’s got a bit more money in his pocket. His on-again, off-again relationship with that beautiful lawyer is on again. And he’s enjoying the companionship of two huge, loveable dogs. Although he’s still battling injustice and getting into trouble—and always will be—he’s found some small measure of peace in the new life I’ve created for him. But like me, Mulligan is still grieving over the demise of the newspaper business that he and I both love. There’s a lot of good stuff about books on Lesa’s Book Critiques, which you can find here. To purchase A Scouge of Vipers and the rest of the Mulligan crime novels, check out the links to independent and chain online book sellers here. 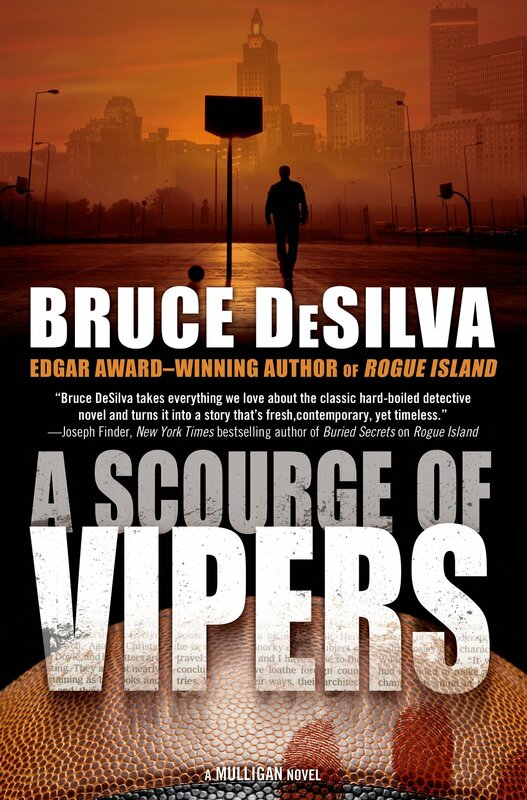 This entry was posted in Uncategorized and tagged A Scourge of Vipers, Bruce DeSilva, buddy guy, Cliff Walk, edgar award, Howard Frank Mosher, Lawrence Block, Lee Child, Liam Mulligan, Marilyn Manson, Providence, Providence Journal, Providence Rag, Rhode Island, Rogue Island, sports gambling. Bookmark the permalink.